We’re proud to be the longest established practice in our area, serving local families for over 15 years. Our dental team is more than just a group of compassionate oral health professionals; we’re also a part of the community. 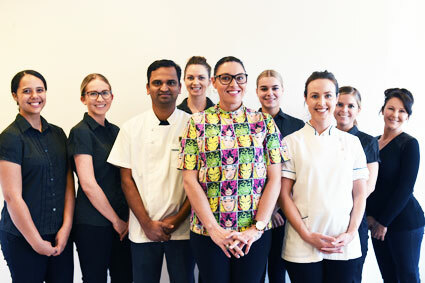 It’s no surprise why we’re one of the top family dental providers along the Northern Gold Coast! We welcome patients of all ages from growing families with young children to those with more experience of life. In fact, we have an oral health therapist on staff who is especially passionate about seeing paediatric patients. Our office can even arrange for your family to have side-by-side appointments on the same day, saving you valuable time. Our ground level office is wheelchair accessible, with a waiting area that’s stocked with toys for young children and a television for your entertainment. We’ve invested in advanced technology that allows us to work in a gentler, more efficient manner to improve the outcome of your treatment. These resources include an intraoral camera, digital OPG machine and rotary endodontics for gentler root canal treatments. It’s our mission to treat our patients in a caring, compassionate manner as if they were a part of one of our own families. That’s why we strive to provide quality care in the most affordable way possible. To reduce most out-of-pocket costs, we’ve arranged contracts to become a preferred provider with health funds like BUPA, HCF, CBHS and Medibank Private. In fact, all health funds are accepted and filed on the spot through HICAPS. We’ve expanded our operating hours to better accommodate school children and working adults, providing same-day and late appointments as necessary. We can also arrange to see emergency patients on the same day. Contact us now to book your first appointment!